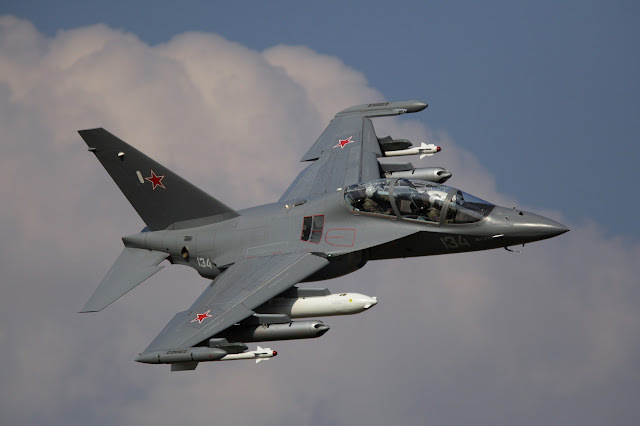 An advanced radio-radar system and a new optical target-acquiring and navigation complex are in development for the Russian Yakovlev Yak-130 jet fighter/trainer, KRET Company reported on Thursday. The new equipment will allow the aircraft to attack targets beyond the operational area of enemy air-defense systems. "Despite the fact that the Yak-130 is a small aircraft, when updated it is expected to be successfully used in a number of combat missions which traditionally involve assault fighters and fourth-generation multirole jets," KRET CEO Vladimir Mikheev said.